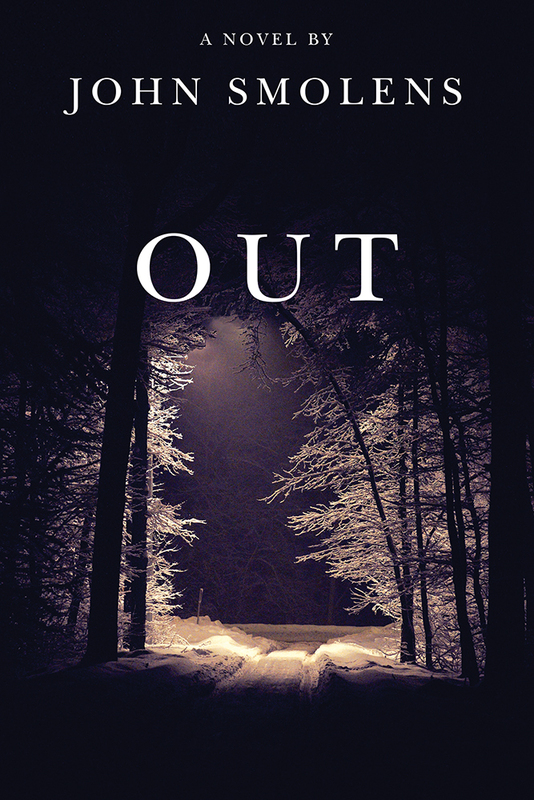 Out, the sequel to John Smolens’s internationally acclaimed novel Cold, finds the former constable Del Maki recovering from surgery and haunted by the recent loss of his wife. His house, set deep in the woods of Michigan’s Upper Peninsula, becomes a haven for refugees during a fierce blizzard. First his pregnant physical therapist’s car won’t start. Then her two lovers come for her—and after each other. After her current boyfriend saves an enigmatic Finnish woman from freezing to death in the storm, they are followed by her former boyfriend, a petty thief who is armed and seeks revenge. As the weather worsens, leading to a power outage, damage from a fallen tree, and a fire, tensions rise. Forced to abandon the house, their flight through the snowbound forest leads to a bad deal with a deadly result. John Smolens’s novel Cold was lauded for its “stunning brutality and uncommon tenderness.” In the sequel, Out, nature and human nature again collide, illuminating the difference between being rescued and being saved. John Smolens has published ten works of fiction, most recently Wolf's Mouth, which has been selected as a Library of Michigan Notable Book. In 2010 he was the recipient of the Michigan Author of the Year Award from the Michigan Library Association.